Brahms first attempt to write a symphony began in 1854, but it was not until 1876 that his first symphony was completed. By contrast the second symphony was written in a few months in the summer of 1877. Brahms had finally been able to break away from the symphonic legacy of Beethoven and compose new and original large scale orchestral music fluently. The second symphony was mainly composed during a summer vacation at Pörtschach on Lake Wörth in Austria. 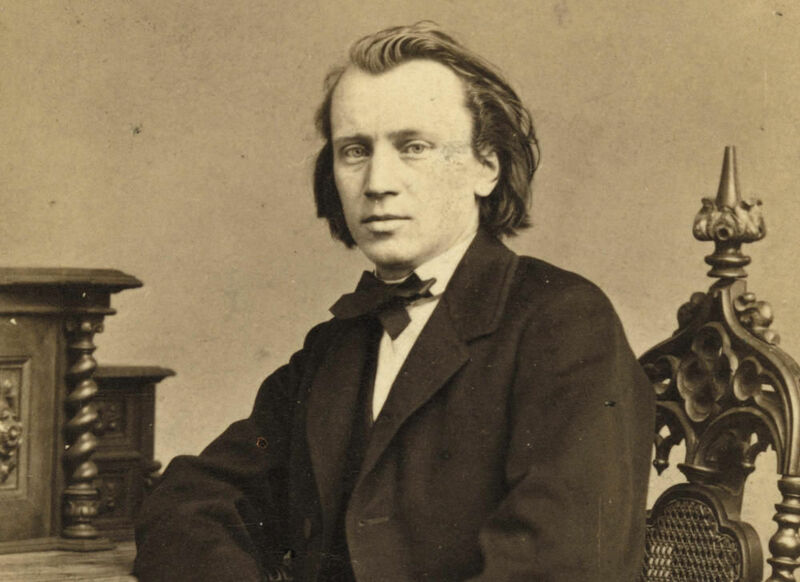 Brahms, in letters to his friends, mischievously misled them about its character. He suggested that the performers would need to wear funereal black arm bands because of its dirge like nature. To his publisher he wrote "it is so melancholy that you will not be able to bear it, I have never written anything so sad". In fact the exact opposite is the case. The symphony is throughout a warm and sunny piece, full of beautiful melody and exuberant uplifting music. In outline it follows established classical form, drawing on the work of Haydn, Beethoven and Schumann. However, harmonically and melodically it breaks away from it's past, using more radical key changes, and organising the material around the intervals of thirds and sixths rather than the fourths and fifths of the classical period. The orchestration also shows great originality. The strings soar up to their top register very frequently, and the brass instruments are used in a lyrical melodic way in addition to underpinning the dramatic climaxes. The première took place in Vienna on the 30th December 1877 conducted by Hans Richter. It was originally scheduled for the 9th December, but had to be postponed because the Vienna Philharmonic orchestra needed more rehearsal time for a performance of Wagner's Das Rheingold. The performance was a huge success. The third movement was applauded so much that it was repeated. Further successful performances followed quickly in Leipzig and Hamburg. Clara Schumann predicted that the symphony would be more popular with the public than Brahms' first, and this has indeed been the case. Brahms second symphony was performed by the Portobello Orchestra on the 4th July 2015 conducted by William Church.